The following piece was taken from the Eastern Daily Press on the 15th September 2006. 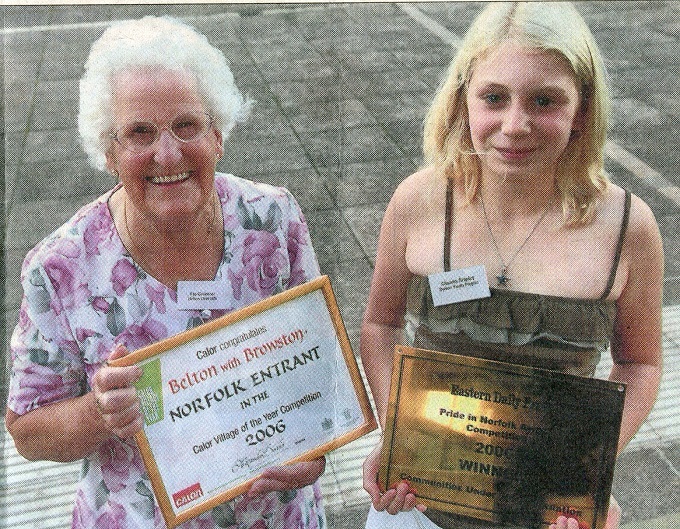 A record number of prize winning communities across Norfolk from the smallest to the largest were congratulated at the official reception on the 14th September 2006. The winners of the latest Pride of Norfolk community awards were spread from Hethersett to Snettisham and from Bunwell to Belton with Browston near Great Yarmouth. 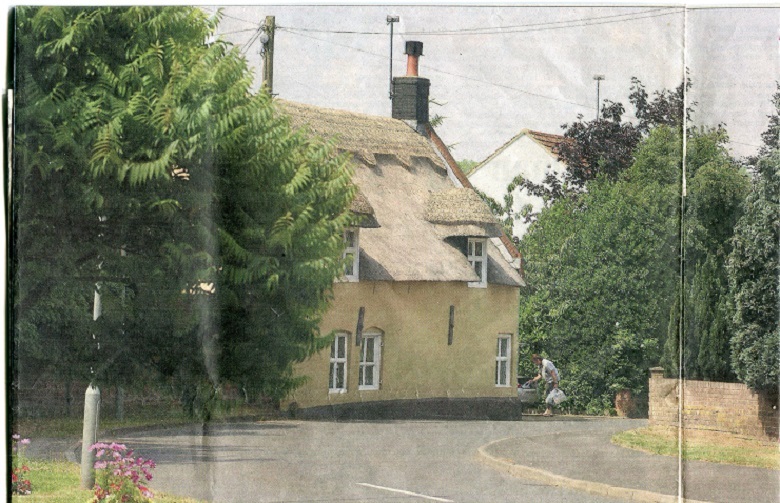 The under 1,000 category went to Bunwell near Attleborough, which was described by the judges as a “vibrant village with a real buzz”, they were particular impressed by the completion of the parish plan which involved 78% of households. It seems to have ben a catalyst for the community to integrate enthusiastically and join together to create many exiting life enhancing projects for its diverse population. “The parish has been recognised by the Norfolk Rural Countryside Commission and South Norfolk Council for its plan. it is now a pilot for its sustainable community initiative, Age Concern is also planning to test a new voluntary help service in the village” said the judges. There was praise too for the runner – up Foulsham near Dereham “Everyone we met in Foulsham is enthusiastic about the joy of living in this friendly and caring community. The evident pride in their village made this community really special”. Snettisham in West Norfolk winner of the under 2,000 category also impressed the judging panel with the “vitality friendliness and helpfulness of the community. Unusually for a village of this size there is a parish office, mainly staffed by volunteers, which is open every morning and which offers a wealth of local information, including tide tables”. Hethersett winner of the more than 5,000 population category had a “Vibrant sense of community sprit and pride, a shining example of involvement and outstanding commitment shared across the generations”. The runner – up Thetford was praised as a “lively atmospheric town with a great sense of community sprit steeped in history but with a clear vision for the future. Frances Mobbs, one of the judges was told by a young member of staff in a local bank that she was asked why she lived in Thetford? The winner of another new competition, the EDP Norfolk Clerk of the Year, was announced by Shirley Matthews, Mayer of Swaffham. As chairman of the Norfolk County Association of Parish and Town Councils, she was delighted that about 30 nominations had been received for the award, which went to Richard Bishop of Swaffham Town Council. The joint runners – up were Pat Jarrett of Dereham Town Council and Stafford Snell of South Creake Parish Council. 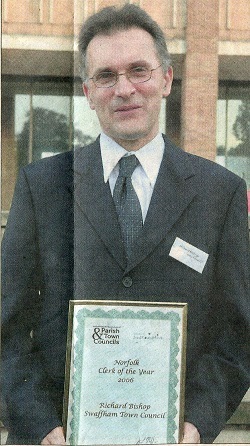 Mr Richard Bishop of Swaffham Town Council – The winner of Clerk of the Year 2006.